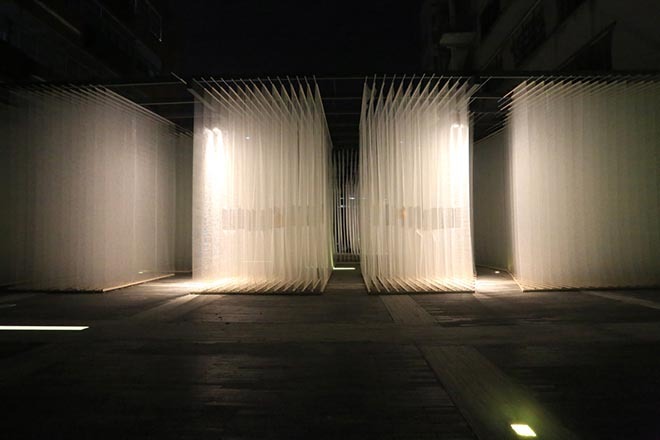 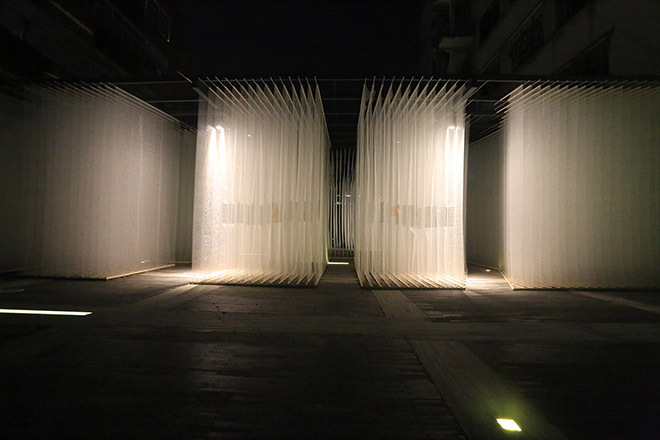 Shenzhen architecture firm Deve Build has won a Golden Pin Design award for spacial design, in recognition of “The Fading Past”, an art installation designed as a retreat from the hustle of everyday city life. 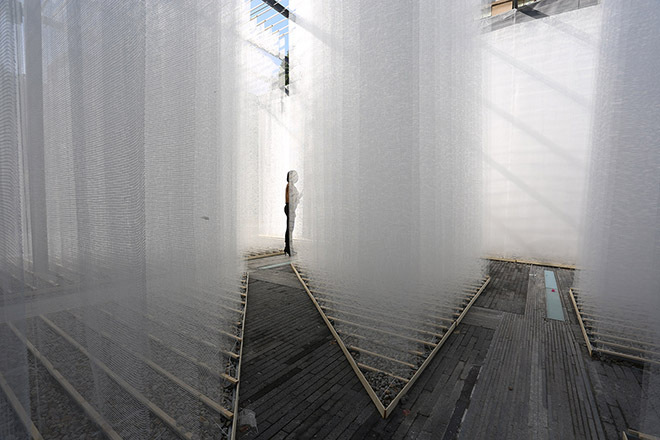 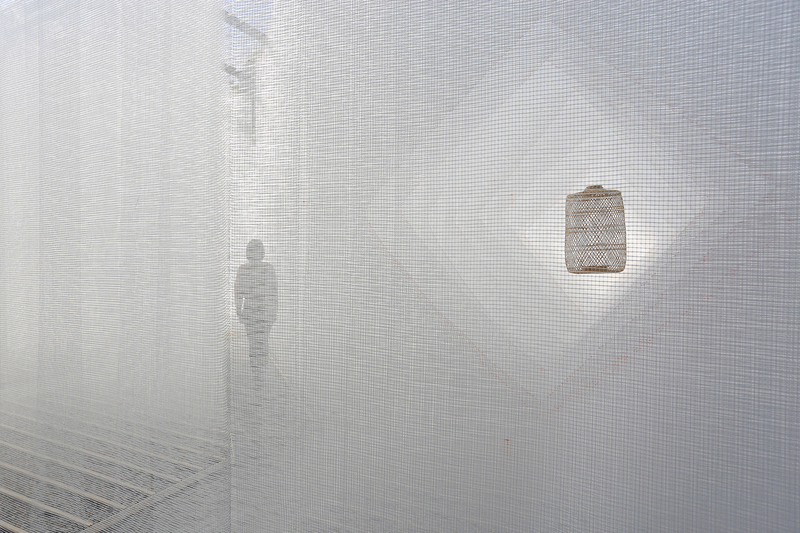 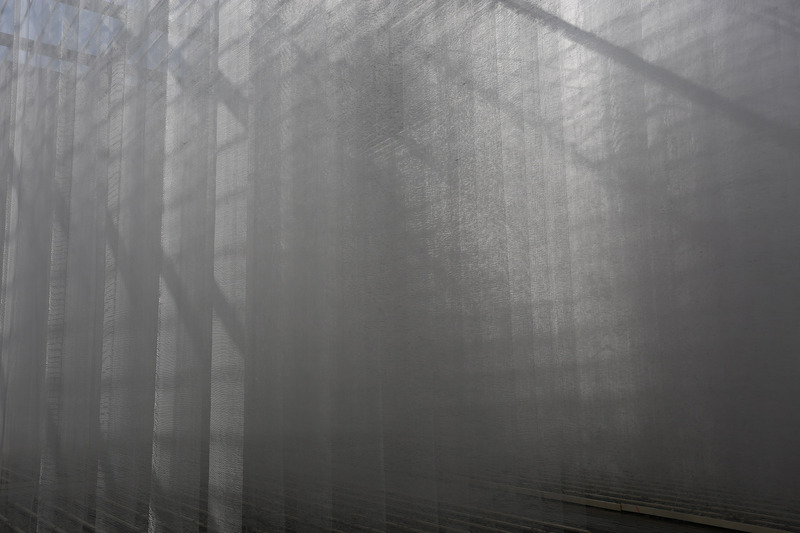 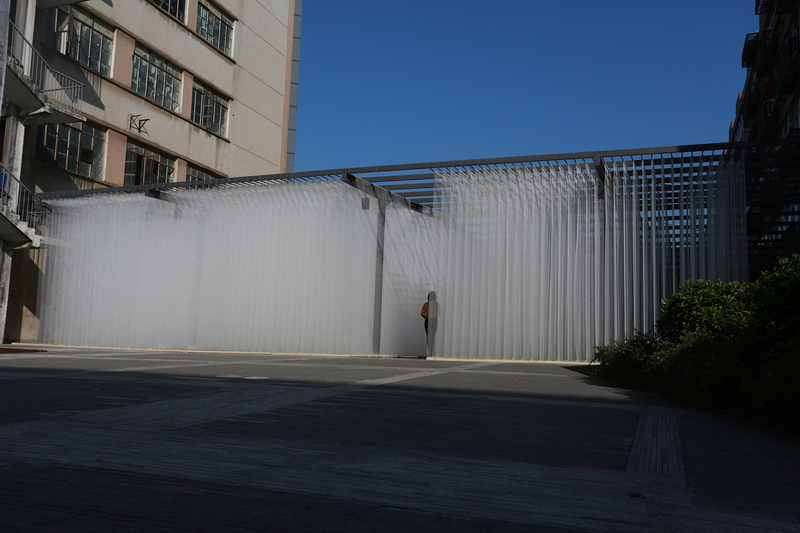 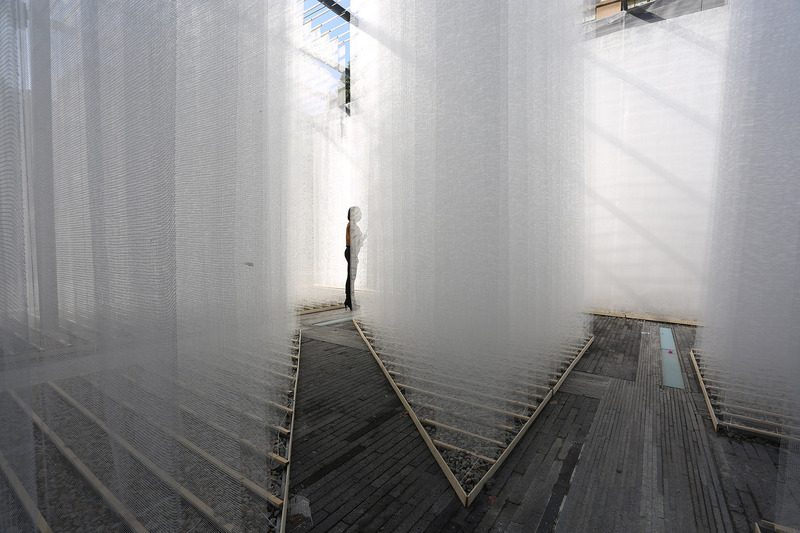 Set in a residential courtyard area, the Fading Past installation features long sheets of fibreglass netting suspended on tall metal frames. 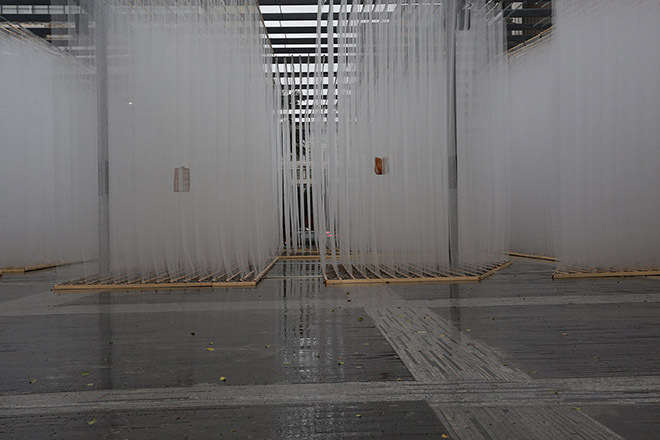 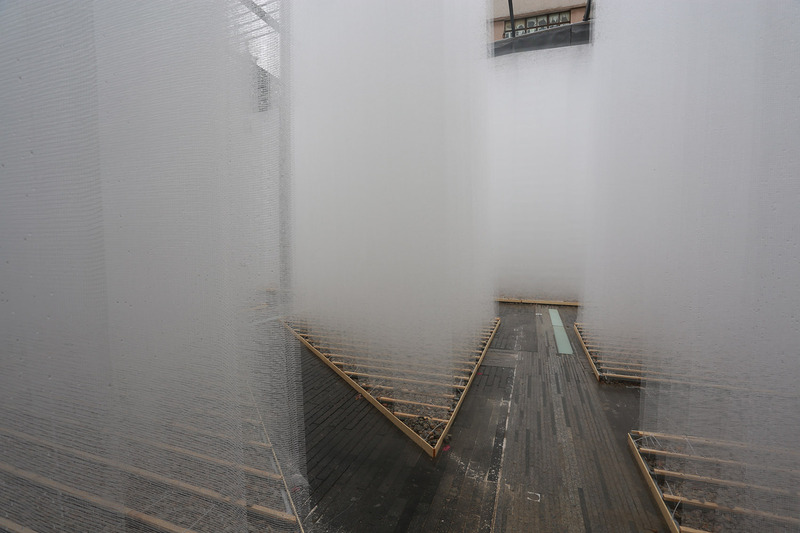 Pedestrians are able to wander through a labyrinth of corridors and paths, observing traditional objects, separated from the busy street by a hazy mist effect.